The 2018 MPBC Tour of the Hamptons was held on Sunday, September 23. Please bring your gently used coats, clothing and boots for donation to Maureen’s Haven and to Timothy Hill Children’s Ranch. The Tour has routes of 25, 50, 70, 100 miles and 25-mile guided rides (see more information about Guided Rides below). 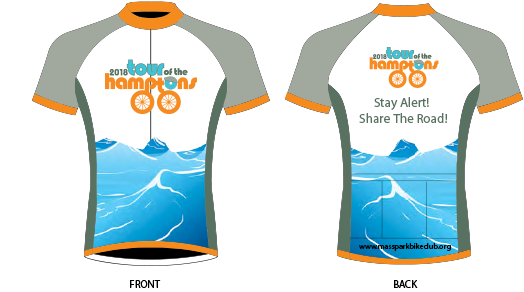 A portion of the Tour proceeds fund contributions to the Southampton Fresh Air Home, the Bridgehampton Child Care & Recreation Center, scholarships for Easthampton, Southampton and Massapequa High Schools, and the MPBC Bikes-for-Kids program at the holidays. Registration: Pre-paid registration is $45 and is available online only. Tour Day registration is $55, payable in cash or check. Credit and debit cards will not be accepted. There is no mail-in registration. Registration opens at 7:00 a.m. on the day of the Tour. Registrations on the day of the Tour must be paid via check or cash. Credit or debit cards will not be accepted. Start Times: 100-mile route 7:30 a.m., 50 and 70-mile routes 8:00 a.m., 25-mile route 9:00 a.m.
All escorted rides will depart between 8:30 & 9:30 am. Limit of 10 riders per group. Each group will be sent out when the limit is reached. Road or hybrid bike in good functioning condition (no mountain or BMX bikes). No child seats or trailers will be allowed. The Tour Closes at 5:00 p.m.
Helmets Are Required For All Riders Regardless of Age. All Riders Are Required to Follow The Rules of The Road Including Riding Single File.